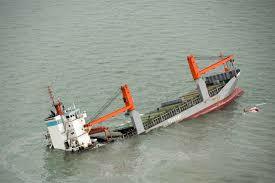 Stranding means when a vessel has run aground, it is accidental. In consequence, the double bottom area of the vessel will probably suffer considerable damage, especially if the ground is rocky. This is physically the same action as beaching, but with the significant difference that beaching the vessel is an intentional action and under comparatively controlled conditions, whereas stranding is accidental. Circumstances will vary with different ships,but selecting a convenient position to ‘set down’ will in all probability never arise. In consequence, the double bottom area of the vessel will probably suffer considerable damage, especially if the ground is rocky. Prepare records in time series on the matter at the time and after the accident. In a stranding accident ship master must use ships own resources to relieve a perilous situation and the best use of any outside assistance which may be obtained. When a casualty causes any loss of the operational capability of a ship, however slight, the master must evaluate the situation that could arise if no corrective action were to be taken. He must assess how long the present situation can be permitted to continue, taking into account the possible changes in the weather or circumstances such as a drift toward the shore. The master must take into account the risk of pollution when deciding upon appropriate action. The master should take whatever action is possible to remedy the situation, initially making the best use of the ship"s own resources until outside assistance can be obtained. The nature, circumstances and urgency of the situation. The various ship systems (main propulsion, steering, electrical, cargo, etc.) that remain operative and how they can be applied to relieve the situation. The ability of the ship"s personnel to minimise or nullify the effects of the casualty and to restore the ship"s capability. The use of alternative means to overcome the operational deficiency. The natural effects of wind, sea, current, etc. and ways to take advantage of them. The use of outside assistance and the measures to be taken on board the ship to accommodate such assistance. If the ship is in imminent peril and if all else fails, the extreme measures to be taken to avoid loss of life, to minimise damage to property and to mitigate the effect of pollution. Sounding of each tank and hold bilge (carry out periodically). Survey location and extent of damage (as far as possible). Investigation of necessity and possibility for reinforcing water tightness, and if necessary materials are on hand. Investigation of degree and extent of stranding, and list of the hull. Survey of nature of the seabed by sounding. Calculation of tide at the time of stranding (Time & height of Tide, and direction & speed of Current). Degree and urgency of danger due to change of tidal level. Possibility of re-floating by de-ballasting and discharging FW/DW. Possibility of re-floating by high water. Reduction of GM and safety for vessel after de-ballasting. Possibility of increase in damage by use of engine judging from the stranding conditions and nature of the seabed. Access control in compliance with SSP. Check authorization to board. (Whether it meets the Master’s request or Company’s instructions). Confirmation of expiration point of salvage contract (Date and Location). Continual recording of weather and sea conditions during salvage operation. Nature of the seabed, and tidal current (direction and speed) at waters around the spot of stranding. Arrival time of salvers, name of salvage boats, time of signature on salvage contract. Details of discussions between the vessel and the salvers. Description of operation at each step, type and quantity of materials used. If cargo is discharged at sea, record of arrangement of G.A. surveyors and details of temporarily unloaded cargo (container numbers, or other details). Work done by the vessel and details of use of engines. Time and place when operation was completed. Note that seaworthiness of the vessel at the time of sailing from last port is an absolute condition for collecting salvage expenses and contesting cargo interest’ claims.